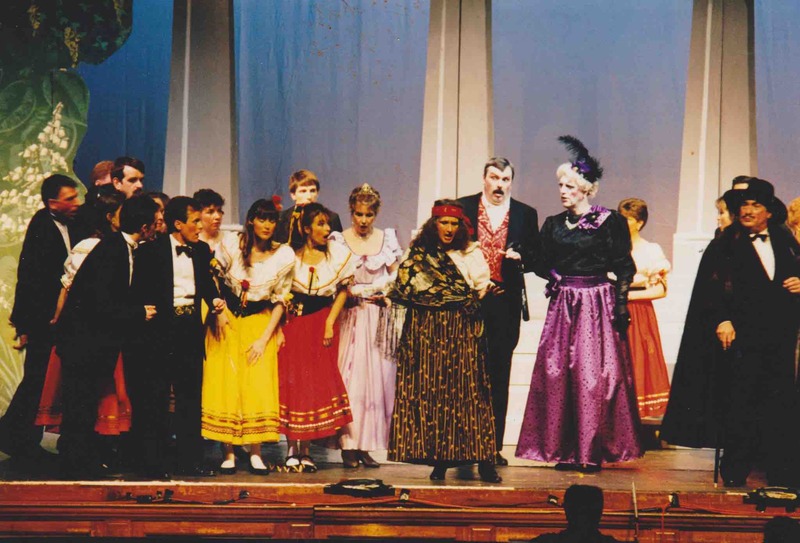 At Committee, Ted Starks proposed The Merry Widow as the production for spring 1995 but then seconded performing The Gondoliers – seemingly he was much more adept at seconding than proposing! Pam de Grouchy was invited to direct and Wendy Dalton became her assistant. Allen Mansell was chosen as MD and rehearsals started well. However, by December there was concern that he had missed many sessions due to ill health and he was asked for assurances that he would be able to fulfil his obligations. This he gave, but a month later he collapsed at work, was taken to hospital for investigations and eventually Philip Johnson took over his role. Margaret Amey was now the Business Manger and was determined to make the production a financial success; she gathered a team of helpers and they awarded a bottle of wine to every member who ordered ten tickets via Ted Starks, a mail shot was sent to 3000 addresses, show sweatshirts proclaiming the booking details were arranged and advertisements were placed on the sides of buses. She even donned her ‘little black number’ and obtained sponsorship from Associated British Ports (£2500) and Exxon (£800) – the latter for the Junior Section. SOS also finally entered the digital age as Aidan Lawrence recorded the membership list on a computer. 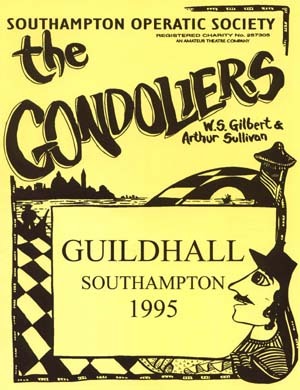 Nothing is recorded in the minutes about the casting of The Gondoliers, which is surprising as it was certainly controversial. 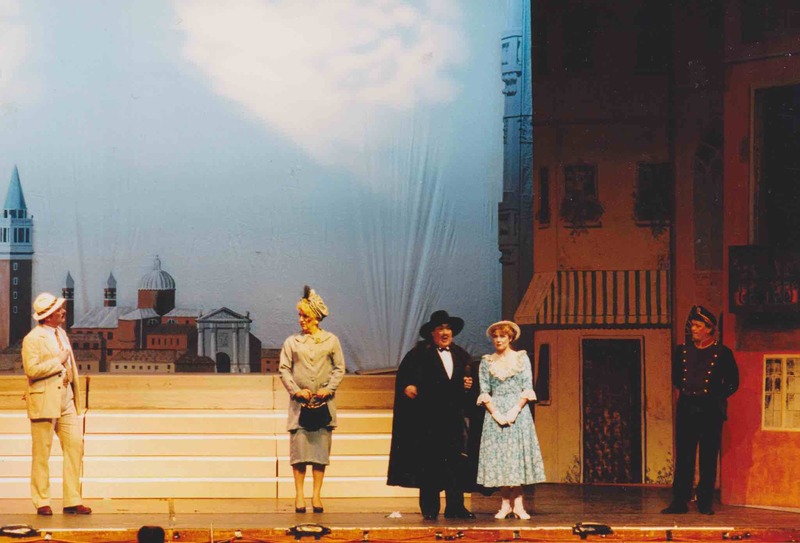 Making his SOS debut in the prized part of Guiseppe was John Martin (a very talented member of the Juniors) but the main surprise was Pam’s decision to allow men to audition for the role of the Duchess – especially when Colin Sly was successful. 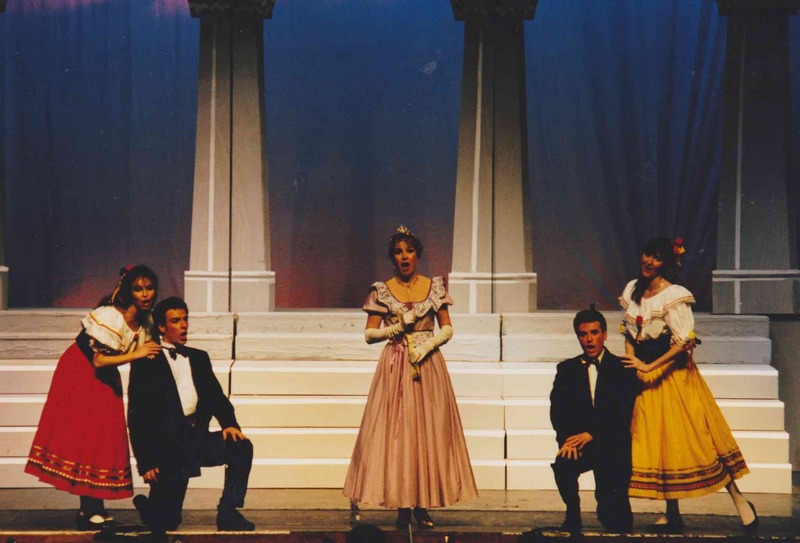 Apart from having to see him backstage in women’s underwear, the men were happy enough but there was discontent amongst some of the ladies who were annoyed that a principal part had been denied them. It should be noted that Sam Sly sang in the opening number whilst leaning through an upstairs window balancing on a wobbly step-ladder. 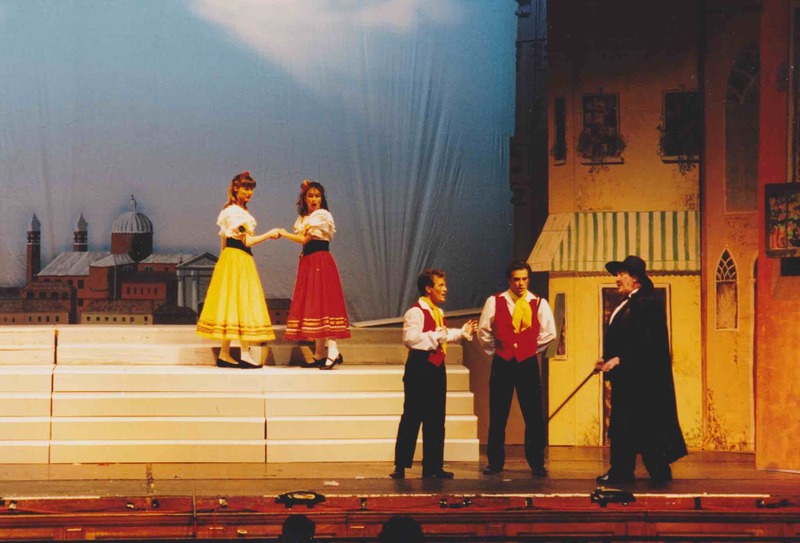 The Act 1 Finale caused some problems for the orchestra as Pam arranged for the men to leave through the auditorium brandishing the sails of their boats and this meant the pit had to be shortened to allow two pairs of steps either side. 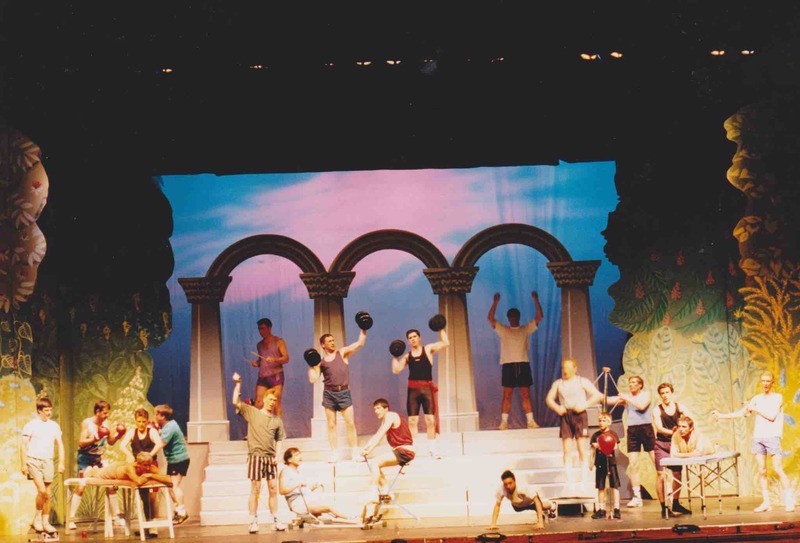 Unusually, Act 2 began in the Royal Palace’s gymnasium with the men’s chorus lifting weights, skipping, using a punch bag and performing press-ups. 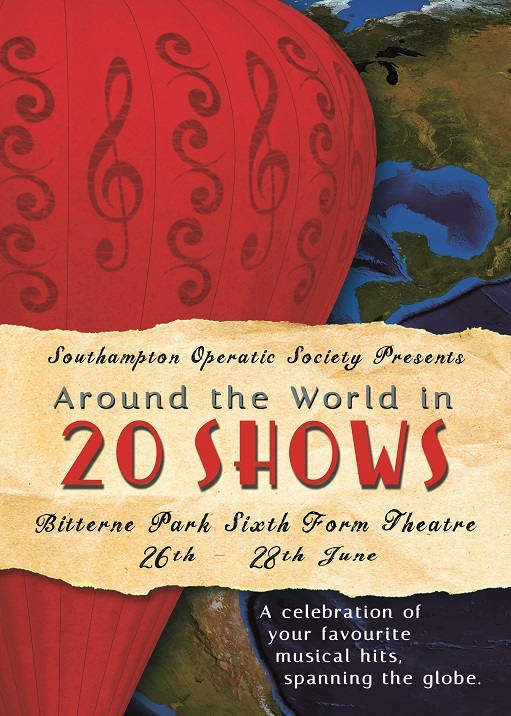 Despite the efforts of Margaret Amey and her team, tickets did not sell very well and The Gondoliers made a loss of £1210.